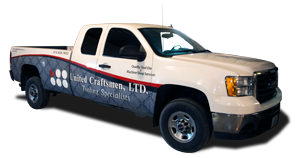 In 1987 the Sedig brothers launched United Craftsmen, Ltd. Using and refining techniques that are now standards in steel and or plastic machining and fabrication. Today our in-depth knowledge resides in our processes and people. Our veteran machinists, many with 25+ years of experience, work alongside the next generation of machinists, welders and fabricators to make United Craftsmen one of the best value added partners for your company. We provide unsurpassed machining, fabrication and value solutions for industries requiring steel or plastic components, by combining, deep customer understanding, process and technology excellence, with the unwavering commitment of our people. Whether your project requires one or a thousand steel or plastic parts with predictable quality and reliability or the machining of highly complex assemblies. We apply the same expertise, insight and customer focused passion to everything we do.